Born on June 3, 1929, in Tver. In 1951, graduated from Leningrad State University, the Faculty of Oriental Studies, the Section of the History of Arabic Countries. Being a student, he started working at the Penjikent group of the Sogdian Tajik Archaeological Expedition of the USSR Academy of Sciences. From 1951 to 1954, a doctoral student at the State Hermitage; on November 13, 1954, defended the PhD dissertation Slipware of Mawarannahr from the 8th to 12th Century as Historic-Cultural Monument [Поливная керамика Мавераннахра VIII—XII вв. как историко-культурный памятник], in which he systemized the data he studied by stylistic and chronological criteria and deciphered the Arabic gnomic inscriptions which had remained illegible. From December 1954 to December 1956, a senior researcher at the Oriental Department of the State Hermitage, with major interest in archaeology and the history of material culture of Central Asia. From December 1956 to October 1966, a junior researcher at the Department of Archaeology of Central Asia and Caucasus, the Institute of the History of Material Culture. Since he annually took part in the excavations of Early Mediaeval Penjikent he got interested in the study of Mediaeval Muslim cities as a special socio-economic phenomenon and at the same time carried on his studies of Arabic epigraphy and the role of arts in mediaeval society and delivered lectures at Leningrad State University, the Faculty of Oriental Studies. In the 1961-62 and 1962-63 winters, he took part in the Soviet Nubian Archaeological Expedition. Work in Egypt and participation in the edition of the selected papers by W.W.Barthold in 2 volumes made possible the shift of his academic interests to purely Arabic topics. In October 1966, Dr O.Bolshakov moved to the Arabic Department of the Leningrad Branch of the Institute of Oriental Studies, the USSR Academy of Sciences. 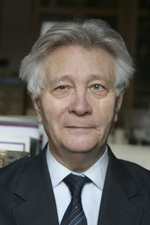 In 1969, after he completed his monograph on the Pre-Mongolian Central Asian cities he started research into socio-economic relations in Near Eastern cities of the same period and simultaneously took part in the work of the Soviet Archaeological expedition to Iraq that examined settlements from the 6th to 5th Millennia BCE. In June 1974, defended the Habilitation dissertation The Central Asian Cities from the Late 8th to the Early 13th Century [Город Средней Азии в конце VIII — начале XIII вв.]. The urban theme remained major until 1983 when he completed the monograph Mediaeval Near Eastern Cities. The 7th to mid 13th Centuries. Socio-Economic Relations [Средневековый город Ближнего Востока. VII — середина XIII в. Социально-экономические отношения], in which he analyzed dynamics of the population growth and the size of cities, and scrutinized reasons for the economic stagnation of Near East that caused its lagging behind West Europe. During the entire period up to 1980 and in 1983, he took part in the work of the Iraqi Archaeological Expedition. From 1984, when his monograph on Near Eastern cities was issued, Dr O.Bolshakov started his project of the study of the genesis of Islam and the history of the first Muslim state, the Khaliphate. By now, three volumes were issued, covering the period from 570 to 695. Volume 4, covering the period up to the first half of the 8th century, is being prepared. During 1987—90, he again took part in the Soviet Archaeological Expedition in Iraq. For many years, he has delivered lectures in various Universities and supervised a number of doctoral theses. From August 1986, he was a leading researcher, from May 1996 till January 2016, a chief researcher at the Institute (now the IOM); on October 19, 1992, he was given the title of Professor; on November 17, 1997, the title of Honored Researcher of the Russian Federation. On August 5, 2002, by the Decree of the President of the Russian Federation, Dr Oleg G. Bolshakov was given the State Award for the cycle of works on Socio-Economic Relations in Early Mediaeval Near East and the History of Early Islam. Bolshakov O.G. The History of Caliphate [История Халифата. Т. IV]. Moscow, Vostochnaya Literatura Publishers 2010. 367 p.: ill.
Большаков О. Г. Средневековый город Ближнего Востока VII-середина XIII в. Социально-экономические отношения. М., 1984. 344 с. Второе исправленное и дополненное издание. М., 2001. Bolshakov O. The St. Petersburg Manuscript of the “Maqāmāt” by al-Harīrī and Its Place in the History of Arab Painting // Manuscripta Orientalia. Vol. 3, No 4, December 1997. P. 59-66. Хачатрян А.А. Корпус арабских надписей Армении VIII — XVI вв.) / Отв. ред. О. Г. Большаков. — Ер., Изд-во АН АрмССР, 1987, 235 с., 42 л. илл. Арабские рукописи Института Востоковедения. Краткий каталог. Под редакцией А.Б. Xалидова [Составители: С.М. Бациева, А.С. Боголюбов, К.А. Бойко, О.Г. Большаков, П.А. Грязневич, А.И. Михайлова, Л.И. Николаева, С.Б. Певзнер, М.Б. Пиотровский, А.Б. Халидов, Т.А. Шумовский], Часть 1—2, Москва: Издательство «Наука» ГРВЛ, 1986. [Arabic Manuscripts of the Institute of Oriental Studies, USSR Academy of Sciences. Brief Catalogue. Parts 1—2]. On December 10, 2018, the conference History and Culture of the Ancient East dedicated to the 90th Birth Anniversary of M.A. Dandamaev (1928-2017) will be held at the IOM RAS.